Imagine being told to invest your hard-earned money in say stocks, by throwing a dice in a roulette machine. Whether you are a trader in a firm, or even an average Balvinder from a remote Indian city with a yet unchanged name, the chances of ever seeing that money invested and returned with benefits will be as slim as winning a million dollar lottery. Buying, selling, and holding stocks is a science if you want it to be done right. That’s where the expertise of Equity Research Analysts fly in wearing a cape. Equity Researchers primarily figure out the financial health of a company and use all sorts of financial modelling to predict its growth or fall. Thus, they are the ones equipped to tell you, within some amount of precision, whether to buy, sell or hold that company’s stocks for investment purposes. Though in many ways it may sound similar to what investment bankers do, it is different in the motivation behind the two job descriptions. As an Equity Research Analyst, you will take stock of various market influencers such as the economy, the performance of the industry sector under your consideration, inflation, company’s past financial statements and current performance, industry developments, competitors, and more, to create financial reports that serve as an analytical toolbox for investors and other clients. Equity Research Analysts work off of available public information to prepare financial reports. Investment Bankers on the other hand, are often privy to details of Mergers and Acquisitions, etc. They handle decisions that are primarily aimed at making money for their clients or organizations. They are on the forefront of making money for their clients while Equity Research Analysts prepare the more theoretical base for further decision making. What are the typical duties of an Equity Research Analyst? Financial Reports that are essentially detailed analysis of a company’s financial performance in the past as assessed through financial statements and ratio analysis, research related to the company’s industry sector – market dynamics, economic environment, etc – and understand the evaluation of the company for its fair value against the market price. This would determine stock buy, sell or hold decisions. Financial Modelling where the real financial situation of a company is mathematically modeled to extrapolate its performance in the future. What are the skills needed to become an Equity Research Analyst? As you can imagine, to become an Equity Research Analyst, handling the financial research of a particular industry sector, one needs skills that can cover the following areas without sweat. Quantitative acumen to interpret data, work with numbers, and make use of complex tools for assessing finances – modelling, research, etc. Well versed with accounting, economic turns, and the ability to understand market changes, competition, potential threats or boosts. Good communication skills to deal with clients, pitch their financial findings, present their research, and more. Ability to handle stressful financial situations, long hours, and work demands. Excellent decision makers and analytical by nature to handle money matters with ease. What are the typical qualifications of Equity Research Analysts? This is a highly competitive field. 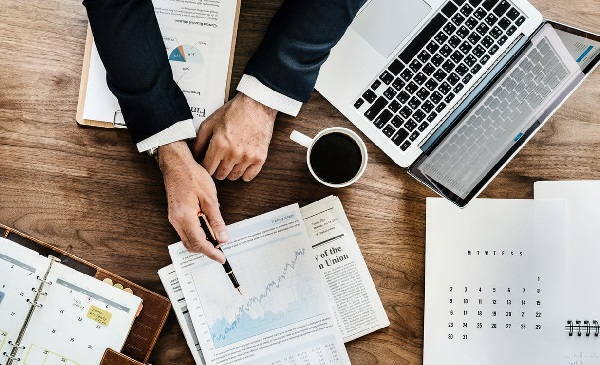 Most seasoned analysts have a degree in economics, accounting, commerce, with specific training in assessing financial statements, preparing portfolios, and handling trade decisions. Unlike most investment banking jobs, MBA is not essential but MBA training does cover a lot of the basics. So does a certification in CFA or Chartered Accountancy. They generally work in equity research firms, banks, mutual fund, hedge fund, or pension fund companies. They can also be hired by companies that deal with financial investments or decisions. Top Equity Research firms are Merril Lynch Bank of America, Morgan Stanley, JP Morgan, Goldman Sachs, ICICI Securities, Motilal Oswal group, Bajaj Capital, insurance companies, and more. According to the Bureau of Labor Statistics (BLS), in the US, Financial Analysts have it good. Their jobs are projected to grow 11% between now and 2026. Their average salaries start at north of $80,000. Compared to the often-crazy hours kept by brokers, traders, investment bankers, analysts have a relatively saner schedule of somewhere in the neighborhood of 40 hours a week, with a few periods shooting up to keep up with report demands. Even location wise, being financial monitors of various industries, their job locations are usually around the financial centers of the world – read Mumbai, New York, etc. In India, the average pay for an Equity Research Associate is about 4 lakhs per year. It can shoot well over 10 lakhs with experience. Not to mention the yearly bonus. However, unlike investment bankers, there is no profit commission, which makes analyst salaries much less than IBs. But if you are happy with decent hours and reasonable enough dough, Equity Research Analyst jobs are the perfect way to go. How can you be an Equity Research Analyst without experience? While it is a highly competitive field for even the experienced lot, it is not entirely impossible to find an entry into this world without any experience. As long as you have the desired skills – analytical, mathematically inclined, well versed with Excel and Power Point tools, have a head for financial numbers and analysis, can communicate well, and don’t get easily pulled down by long hours of work – you can try one of the following means to increase your edge of finding an entry-level analyst job. Familiarize yourself with the ins and outs of making financial reports. You can get hold of public records and statements, of companies. Use the vast repertoire of online courses and tutorials to learn how to do ratio analysis, create portfolios, perform financial modelling, etc. Once you have a solid financial report in hand, you can try online publications to get it accepted as a legitimate analysis. Of course, it will go through its checks and balances, if it is a well-reviewed publication (Ex: Seeking Alpha). Once you have a well-organized, well-analyzed report concentrating on a particular industry and a few companies, there in, with reasonable predictions for its future performance, you have what is called solid evidence in support of your research analysis knowledge. Without a formal degree, you can hope to get a pretty good edge by investing some time in gaining a CFA, or Chartered Accountancy, certification. Online discussion seems to suggest that only the first stage(s) is sufficient to indicate motivation and knowledge for junior analyst positions. Go through job listings on popular job portals and check out the requirements for getting entry into equity research jobs. Contact the recruiters and make sure your resume/cover letter reflects your financial report. Network with financial wizards (or minions) who can provide you an insight on job openings or even recommend you when such positions open up. Research the industry of concentration for the equity firm interviewing you (if you get that lucky). Revise the market situation of the industry, economic environment, and be prepared to talk about how dynamic factors like competition, startups, etc can influence the valuation of companies in the sector. You know, your average technical speak. Follow the news and keep yourself updated of the financial world. Equity Research Analyst jobs are tough and demanding. So is its demand among candidates who want to pursue a challenging job without the 24/7 headaches and stress of investment banking. If you want to make a cut into this challenging, yet personally and professionally rewarding field, follow your passion to learn more. The market never stops, nor does the need to have experts who can interpret it to gainful returns!